A pair of Barefoot Sound MicroMain27 Gen2 sit on a table downstairs in this video captioned "STUDIO FINALLY FINISHED". This video was uploaded by Skrillex to his Vine page on 27 March 2013. In Andrew Bayer's Twitter photo, one can see a Barefoot Sound monitor in the upper center of the shot. On the bottom-right of the monitor there appears to be the shape of a "7", which means this unit is likely the 27 model (as opposed to the 35 model). "Just picked up a pair of Barefoot MicroMain 27's the Gen 2 model"
Working with Harrison, Thomas Gold is seen using the barefoot MicroMain27 Gen2 monitors. These monitors can be seen many times in Imagine Dragons' Instagram account with Dan mixing or recording at the console. edward maya use it,in this photo! This Vine video posted by RDJ2 shows a portion of his studio gear setup, where his Barefoot Sound MicroMain 27 Studio Monitors can be seen on either side of his display. He captions this video, "Digital funk". 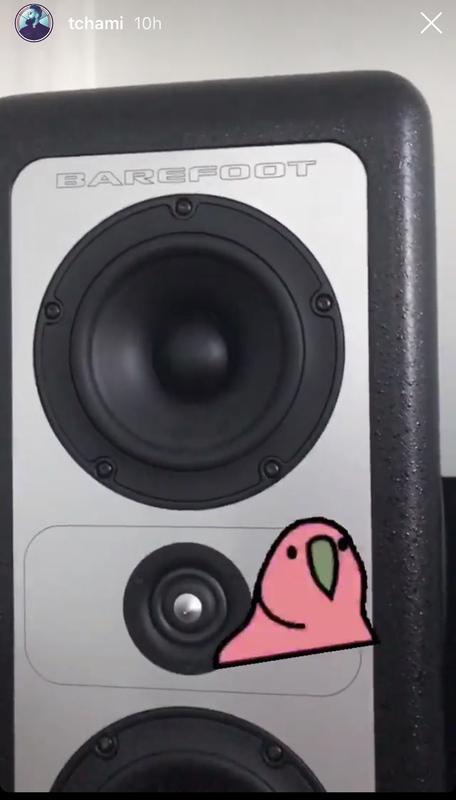 In this screenshot from Tchami's Instagram stories, he shows off his Barefoot Sound MicroMain27 monitors. The details on them indicate they are the Gen2 version. He used them in the studio with Future Music Magazine You see the monitors almost throughout the whole video. A pair of Barefoot Sound MicroMain27 Gen2 can be seen in this Instagram picture, uploaded by the artists themselves. You can see his Barefoot MicroMain27's on his desk.